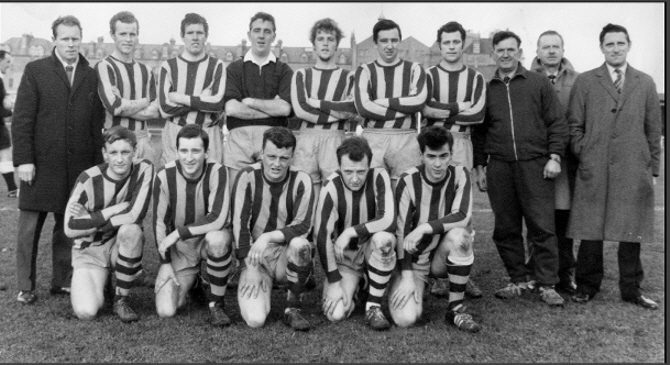 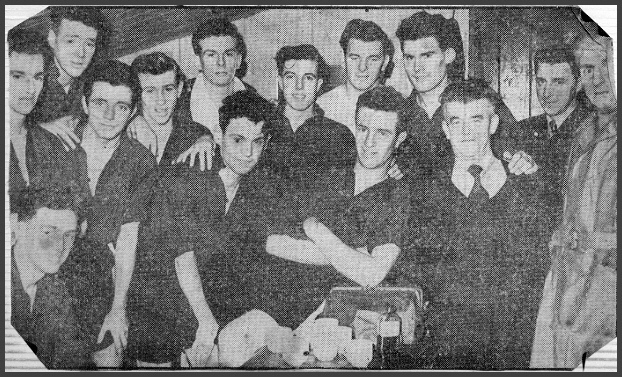 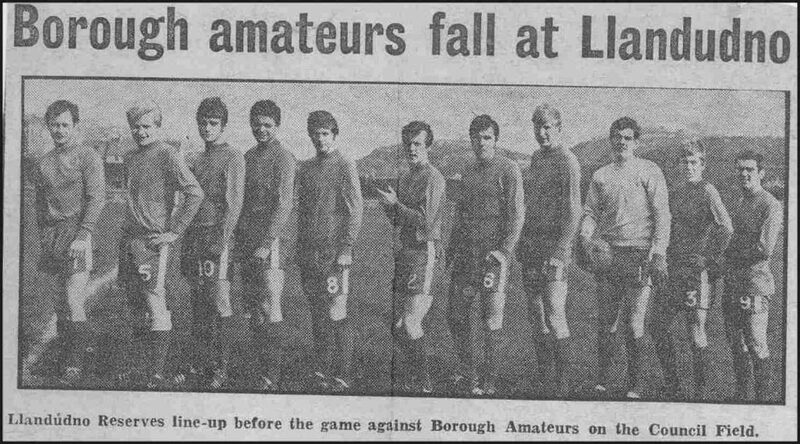 newspaper cutting photo includes l-r, John Hughes (Chow) , George Williams , Alan MacIntosh , Geoff Daniels, Terry Casey , Charlie (Chuck) Roberts , Geraint Griffiths , Griff Hope , Johnny Roberts , Billy Russell . 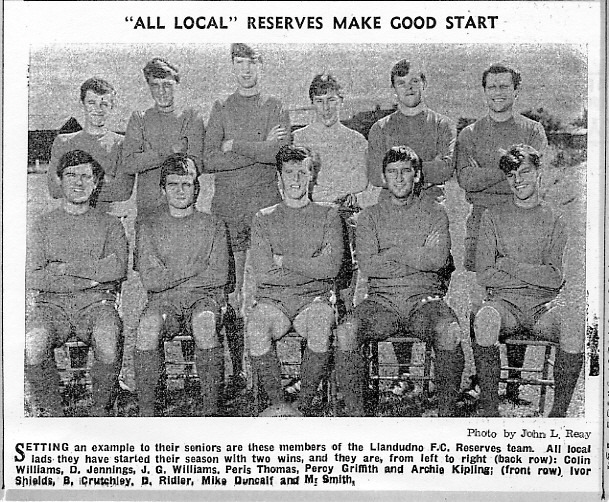 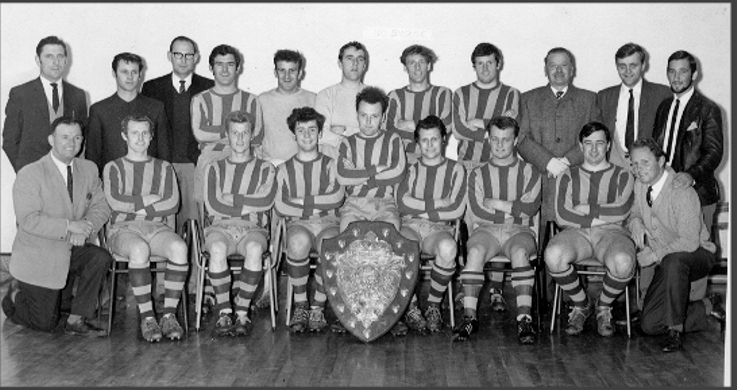 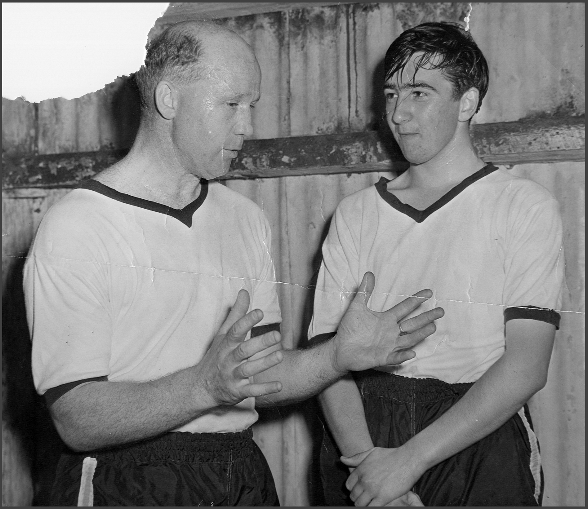 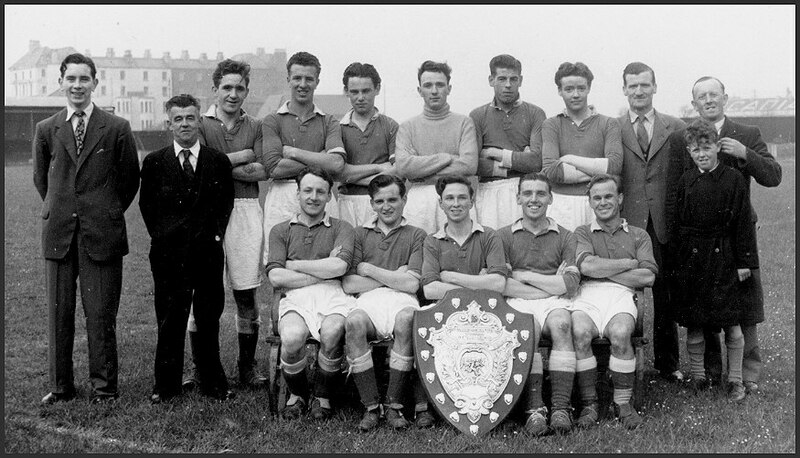 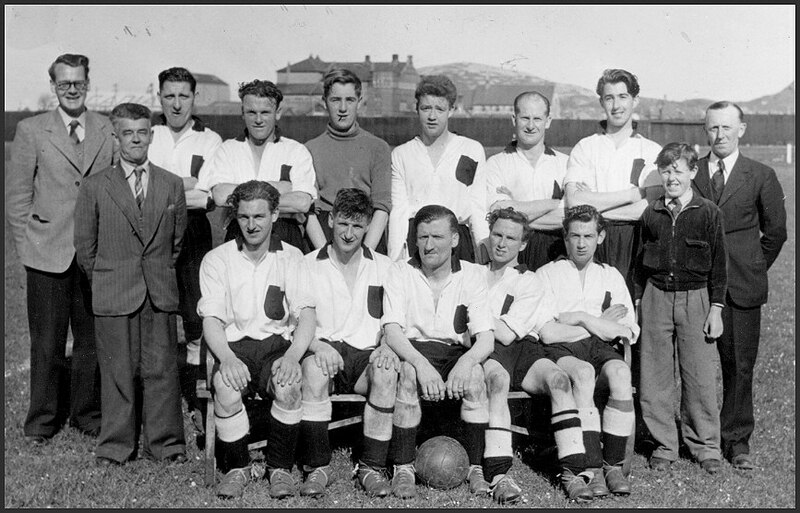 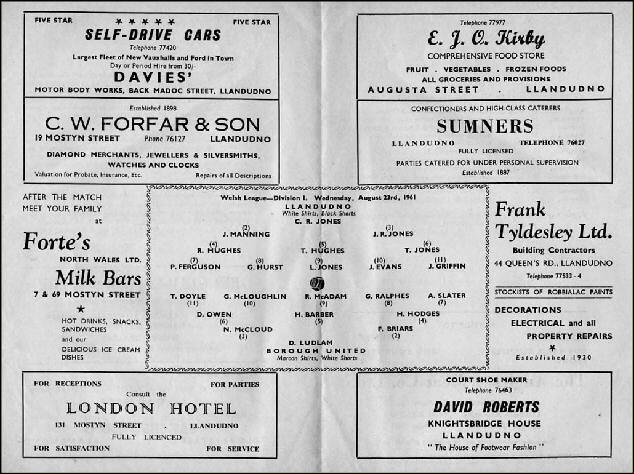 reserves team 1950-51 submitted by Sam Price , correction on one player , not Wilf Brown but his brother George back row . 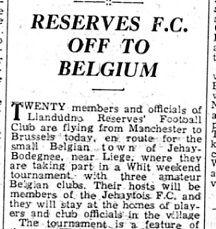 Belgium HERE WE COME !! 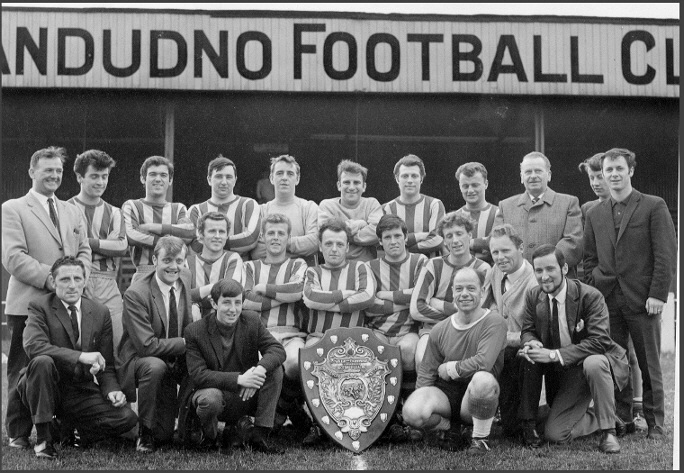 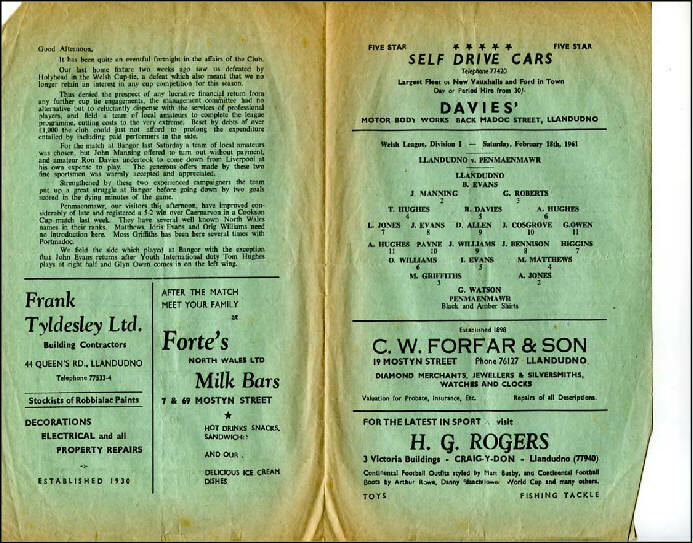 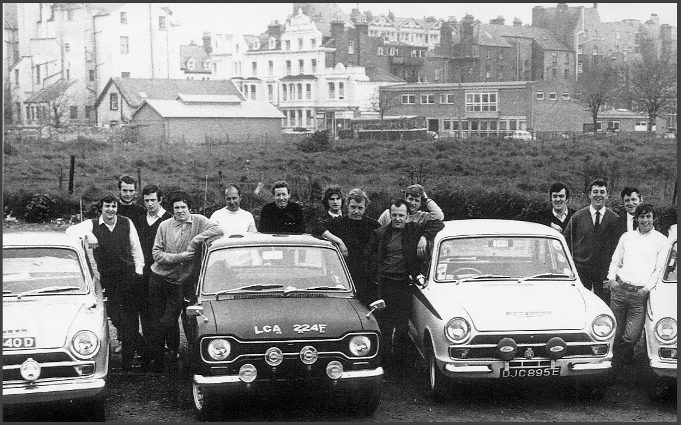 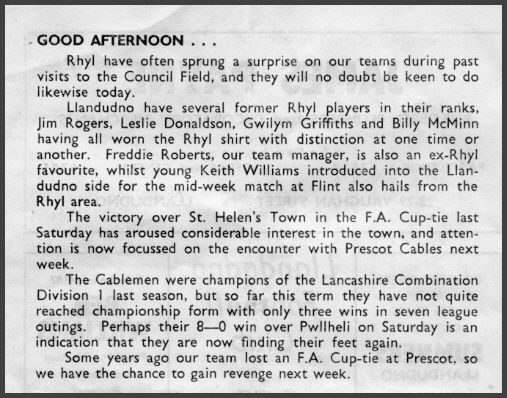 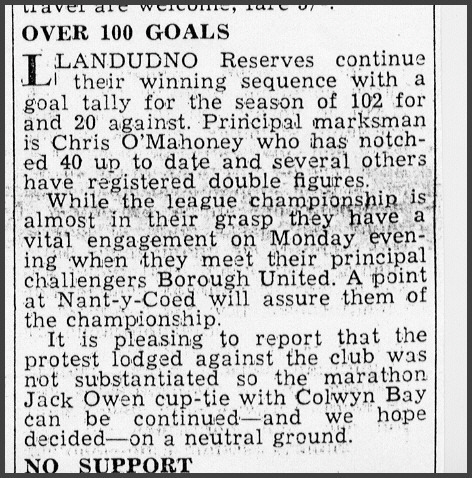 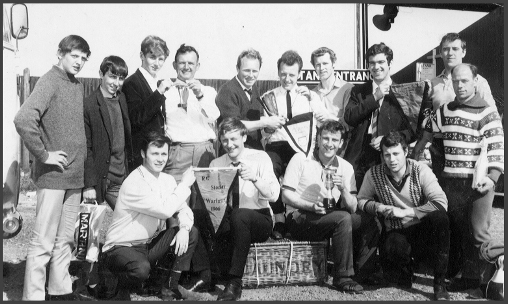 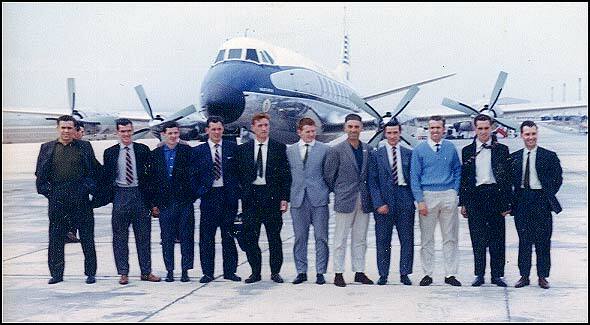 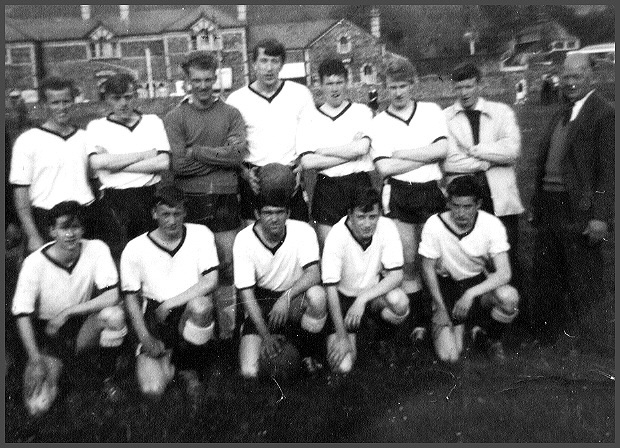 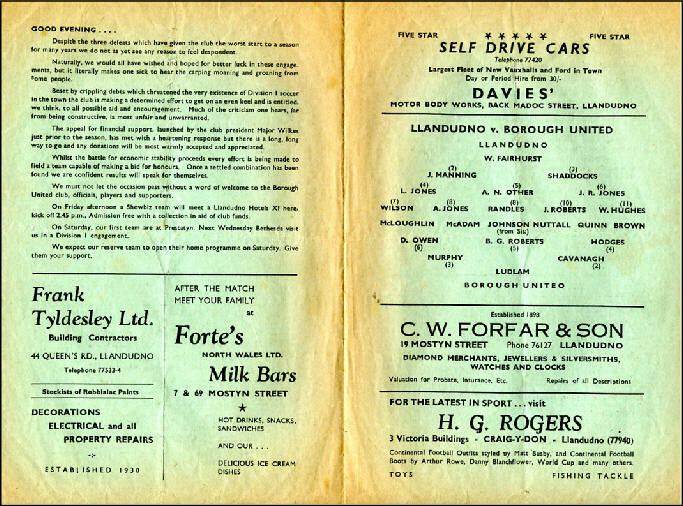 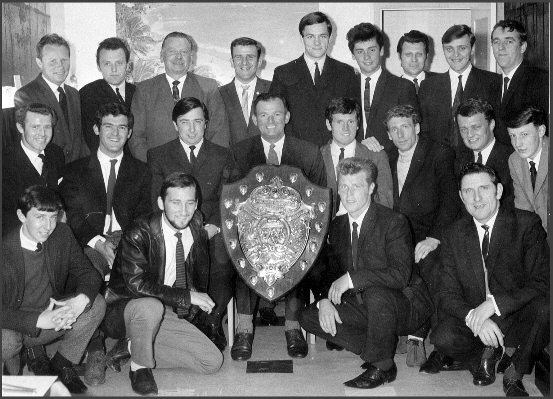 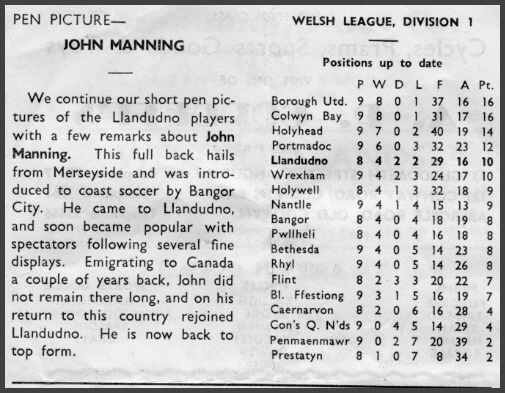 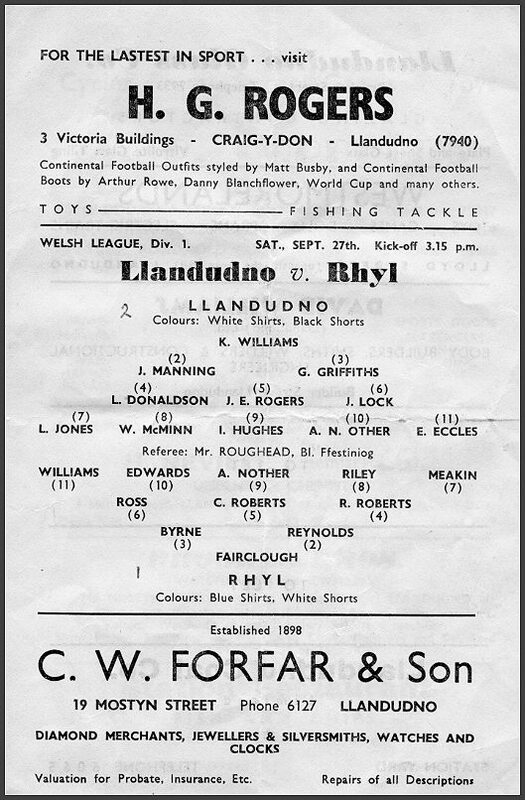 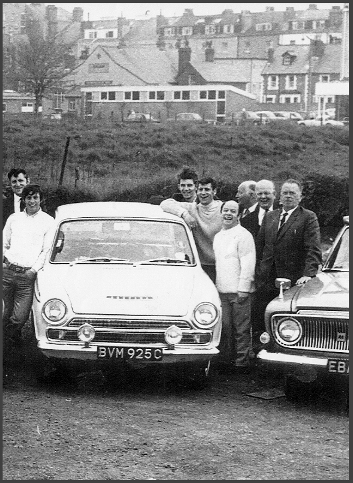 I think somehow Fords were popular then …..
off tour in 1966 – not sure if this was the start of Llandudno AMATEURS ? 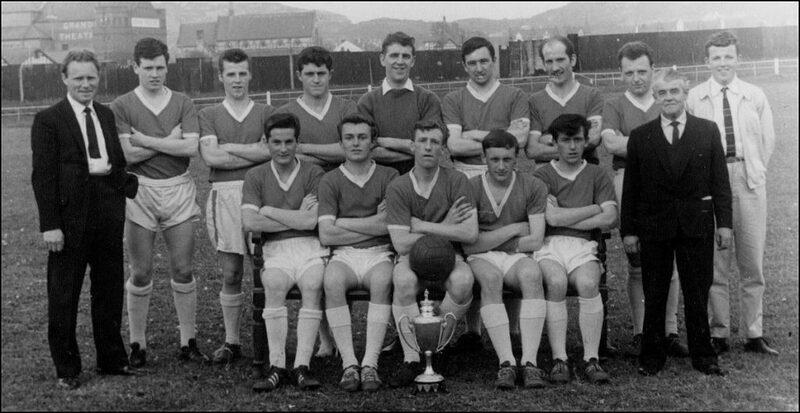 Champions -Vale of Conway .